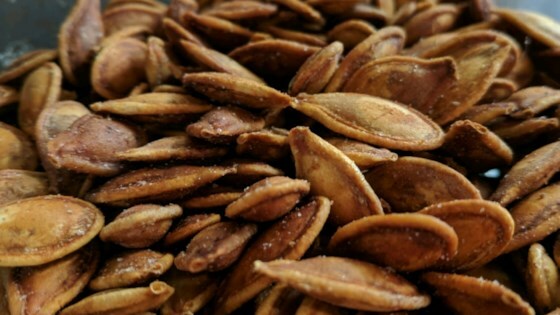 "These pumpkin seeds make a great tasting and healthy snack." I make this recipe myself but substitute the butter with olive oil which is healthier and doesn't burn. Very yummy! These were good. Careful with how much margarine you use....too much makes them soggy.